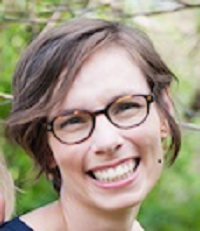 Terra Schwerin Rowe holds a PhD in Theological and Philosophical Studies from Drew University as well as two Masters degrees in the Protestant tradition and theology. Her work emphasizes critical analyses and constructive reinterpretations of Protestant theologies from the perspective of feminist and environmental concerns. For example, her recently published book, Toward a 'Better Worldliness': Ecology, Economy, and the Protestant Tradition (2017, Fortress Press), analyzes modern and current intersections of Protestantism (particularly the Protestant articulation of grace) and capitalism from the perspective of feminist and climate concerns. Examples of her work can be found on her academia.edu page. Rowe's research and teaching interests include religious responses to climate change and ecological degradation, the Protestant tradition, Protestantism and capitalism, ecological economics, critical animal theory, ecofeminism, posthumanism, and critical race theory. Rowe has taught introduction to world religions, writing courses on environment and food production focused particularly on climate change, religion and economics from the perspective of social and environmental concerns, and will teach courses on eco-feminism and religion and science in the fall of 2017. In addition to academic pursuits Rowe has sought ways to apply her research to concrete social and environmental issues. In 2015 she received grant funding to organize an interfaith group to partner with a local sustainable CSA farm. Together the farm and the interfaith group were able to secure further grants to subsidize CSA shares to be delivered to families living in a USDA designated food desert.